This South-American bird is a member of the large group of Neotropical birds known as the macaws. They belong to one of the six genera of Central and South American macaws. Macaws are very intelligent and social birds that bond very closely with their owners, however, for people who can provide for their needs, they make a great loving companion. They live up to about 30 to 35 years in the wild. 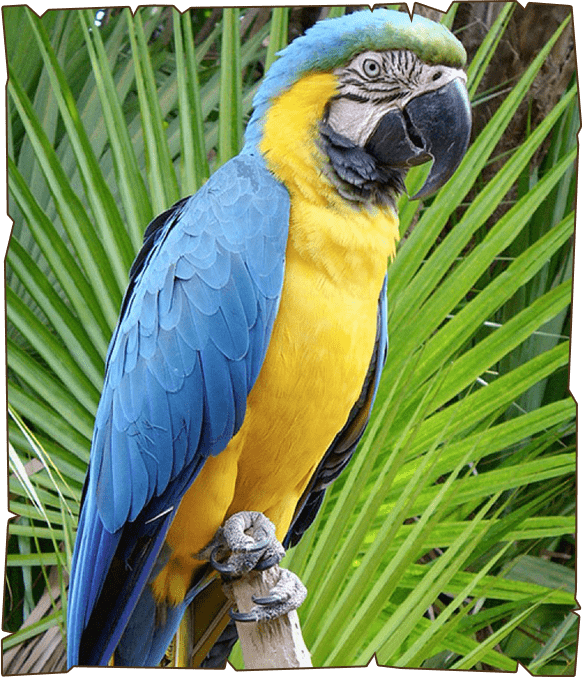 The blue-and-yellow macaw uses its powerful beak for breaking nutshells, for climbing and hanging from trees.